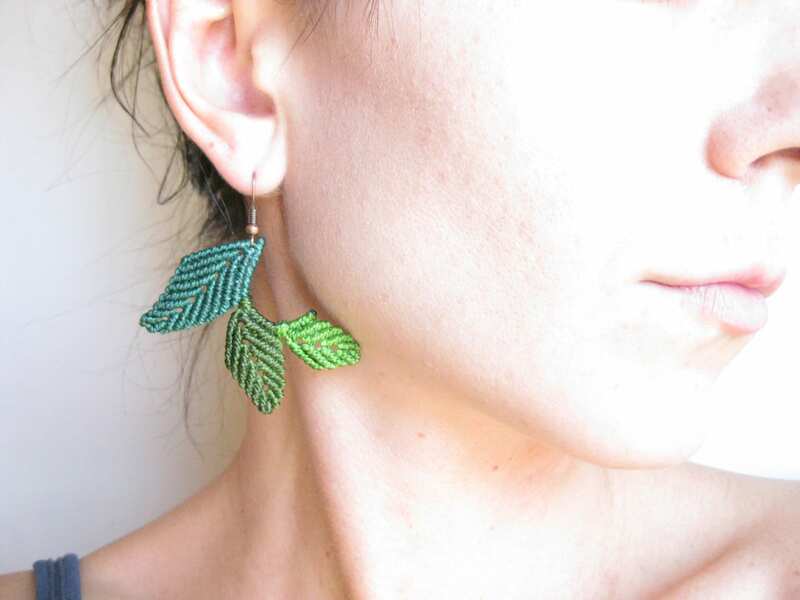 Leaf Earrings . 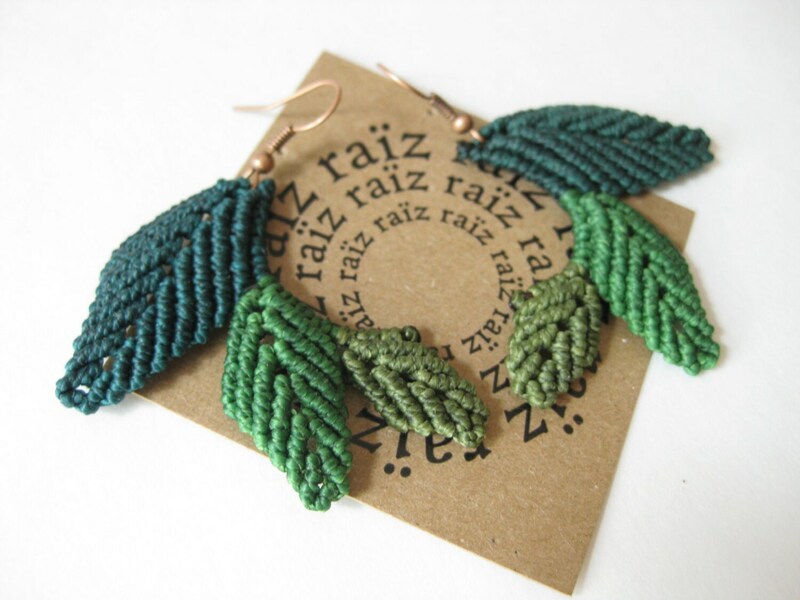 Micro Macrame Jewelry . Green Leaves . © Design by .. raïz .. 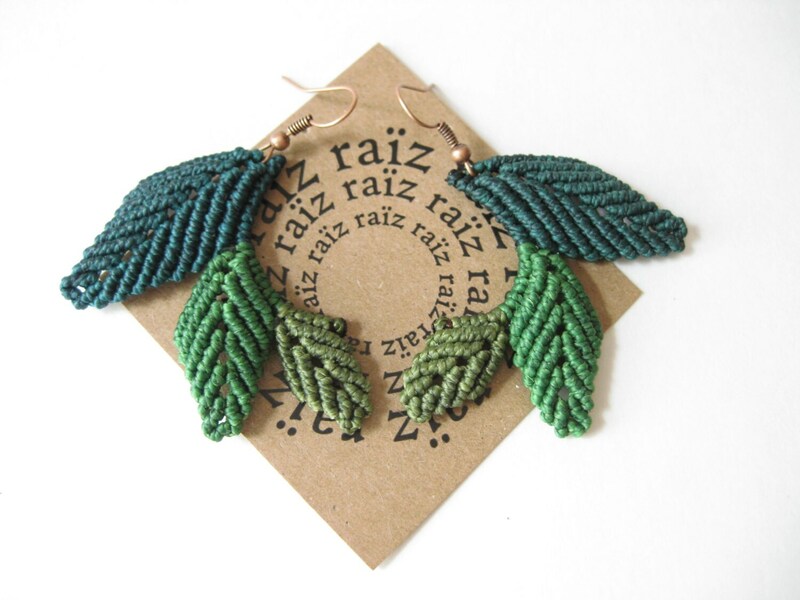 Elegant macrame leaf earrings in shades of green made ~one knot at a time~ with best quality waxed polyester strings. The perfect subtle statement for a soft, natural and unique look! Earwires are nickel free -please choose the finish you would like at check-out. Lovely earrings, arrived quickly and safely. Thank you! 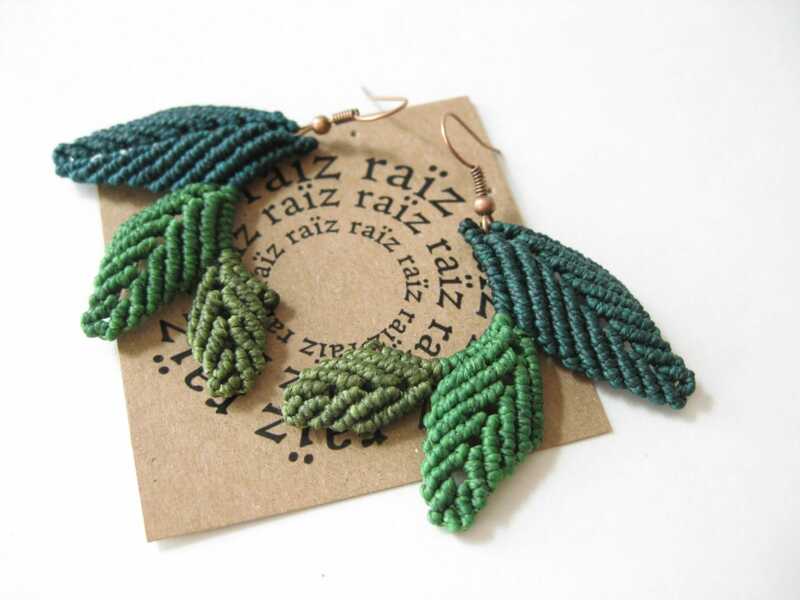 Fast shipping and absolutely beautiful earrings! Will buy from again!! Beautiful! Exquisite craftsmanship. Received very quickly, too. Beautiful earrings. The way the sit is a little different than pictured but something I can fix with with a little twisting.